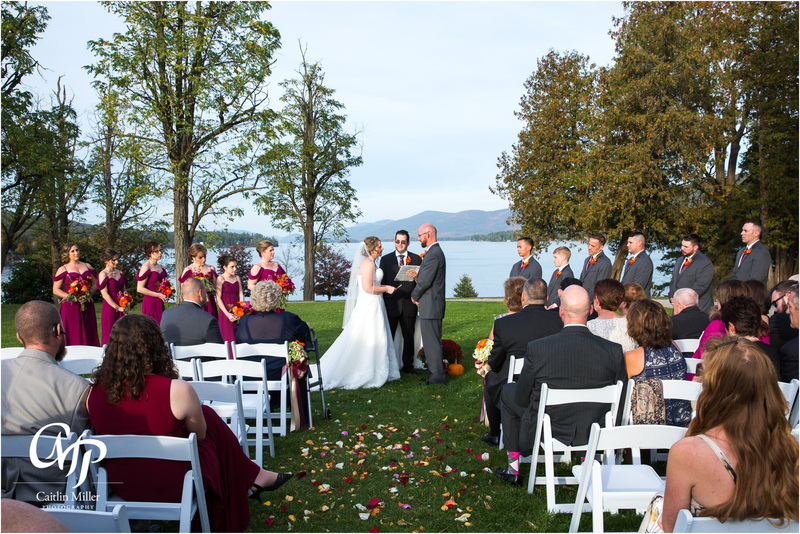 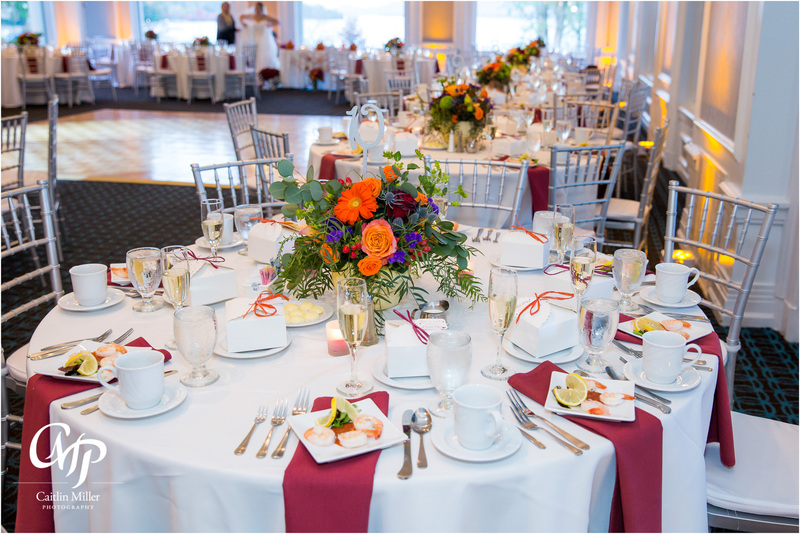 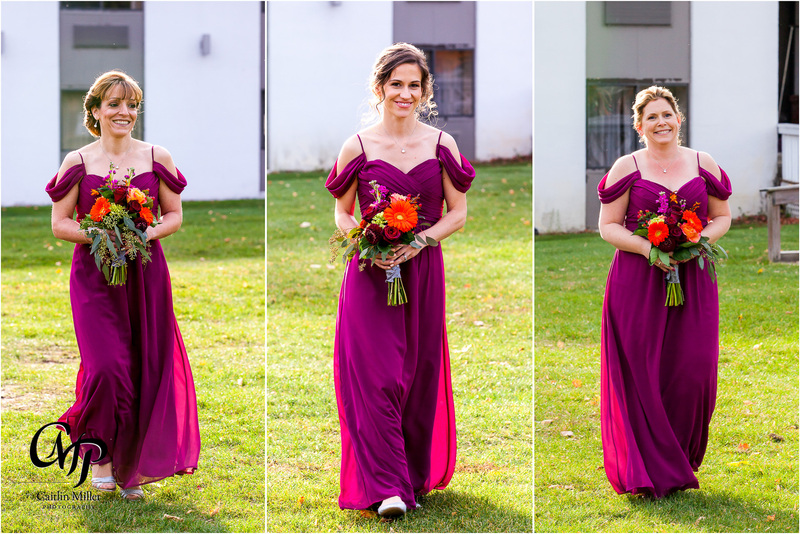 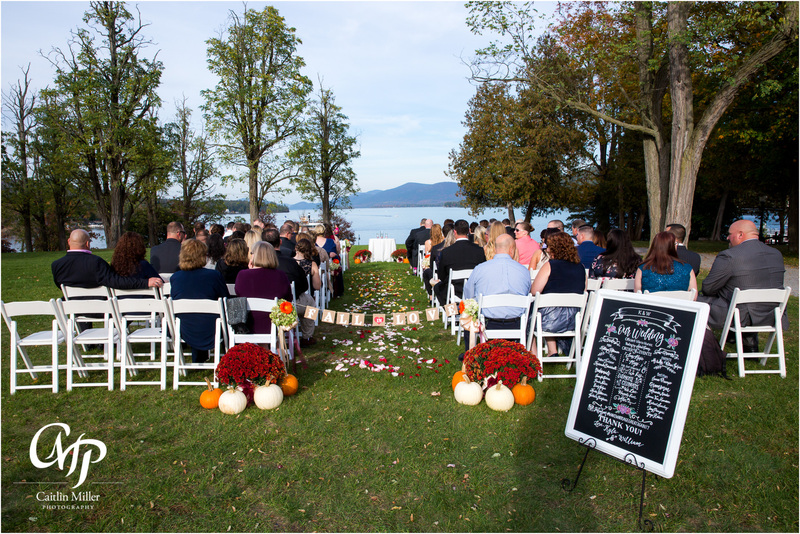 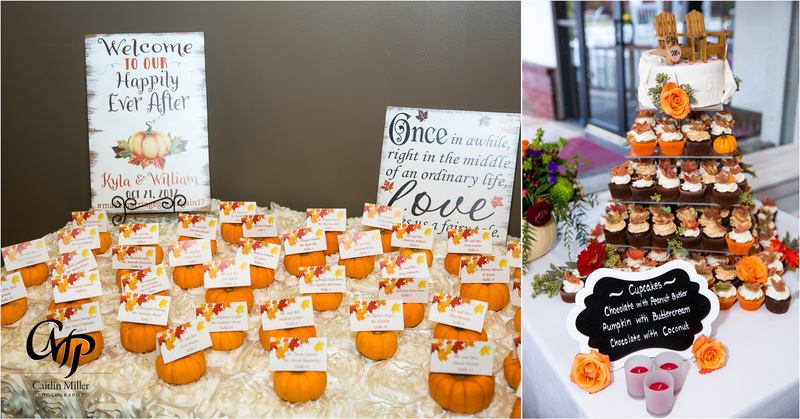 The fall of 2017 was beautiful, warm and very colorful – which created the perfect day for Kyla and Bill’s Lake George wedding. 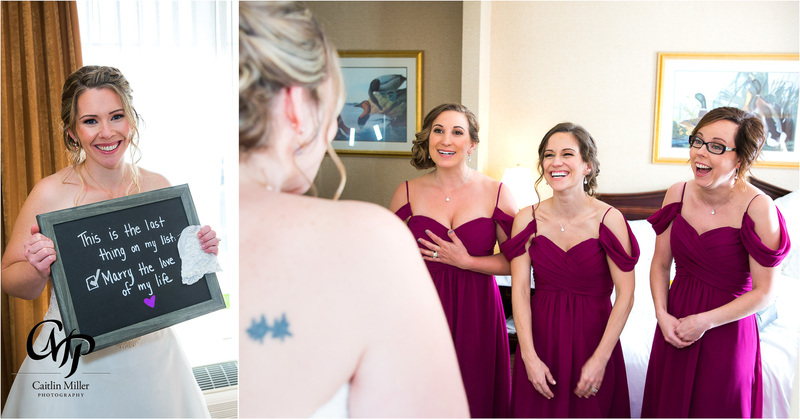 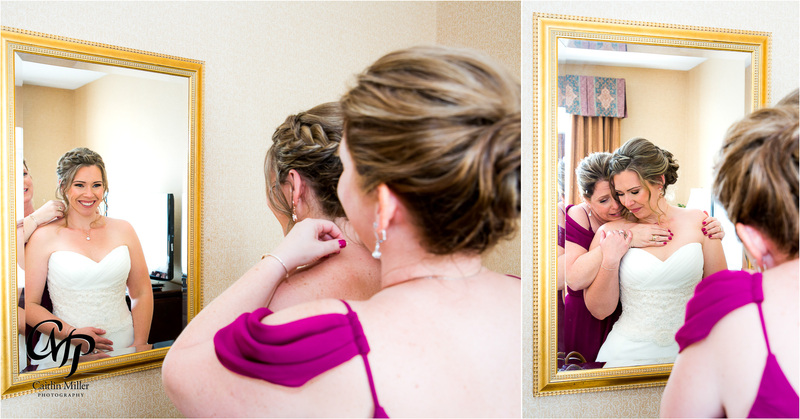 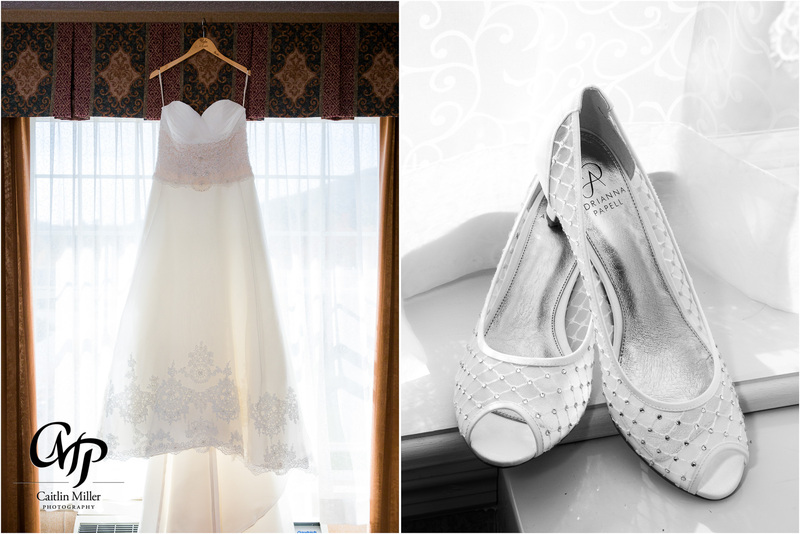 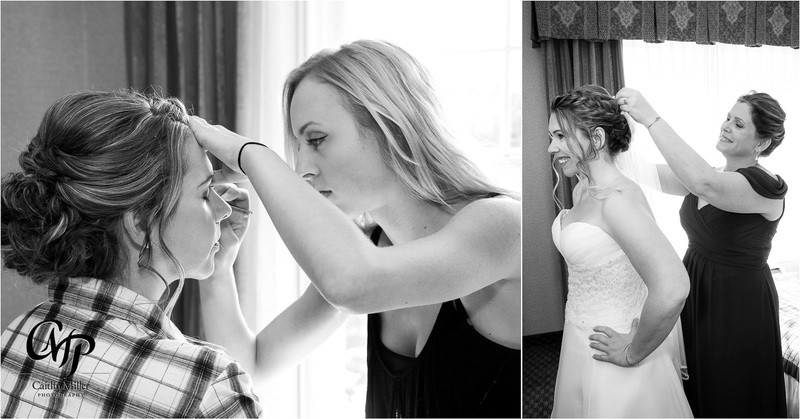 Kyla and her bridesmaids got ready at the beautiful Fort William Henry. 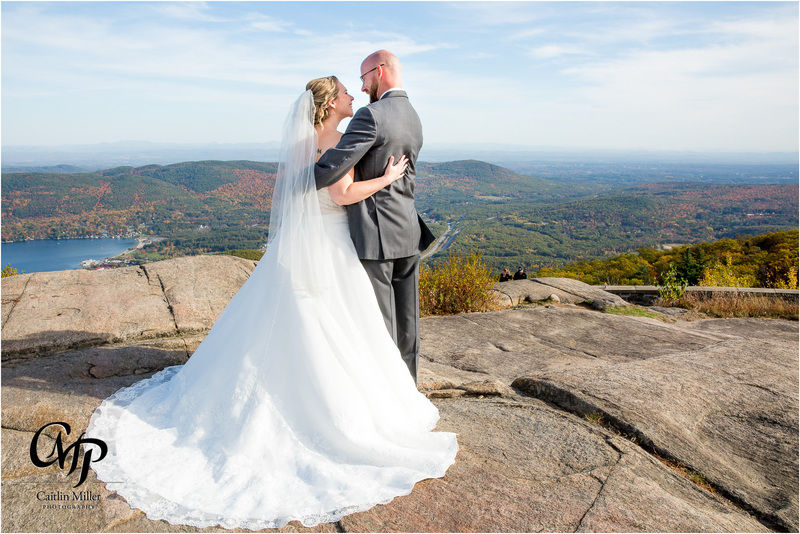 Kyla shared special moments with her sister and son Gage before heading up to Prospect Mountain for a first look with Bill. 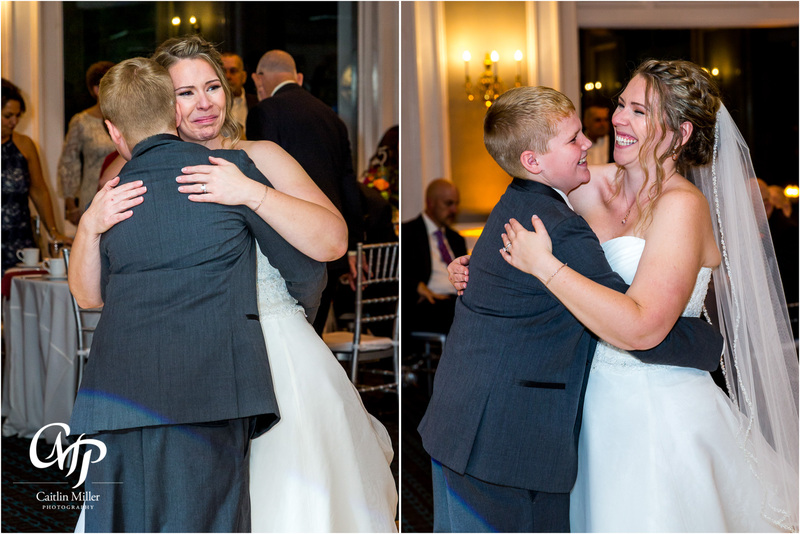 You couldn’t have asked for a happier groom! 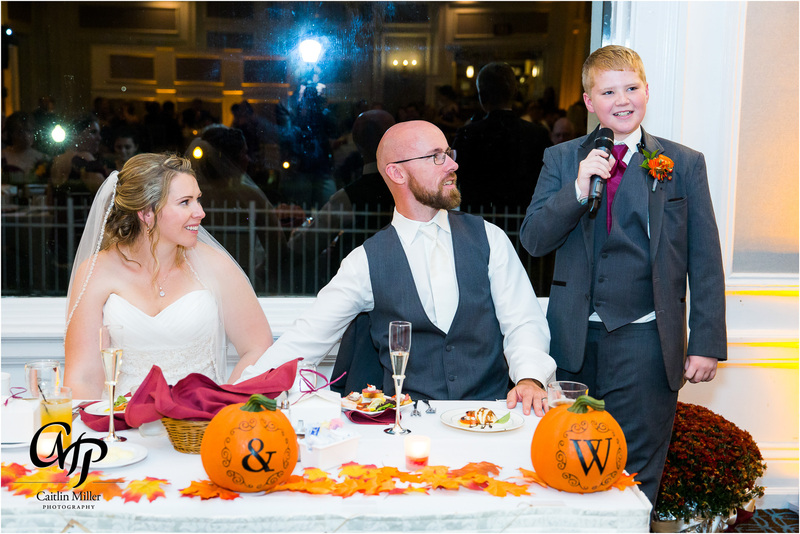 He and Kyla were glowing during their first look and the love was palpable between the two of them and Kyla’s son Gage. 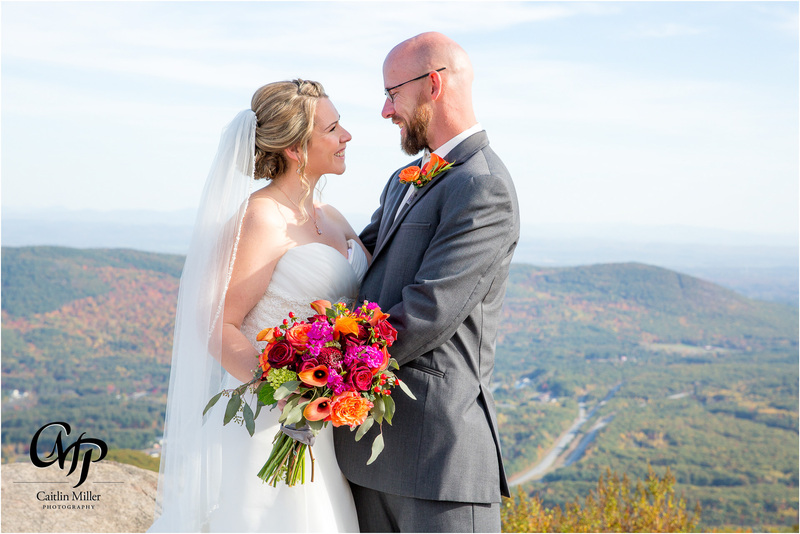 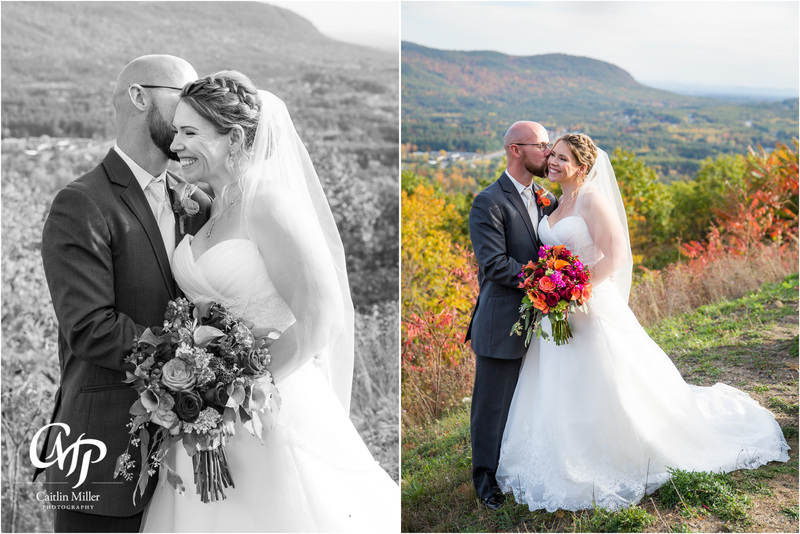 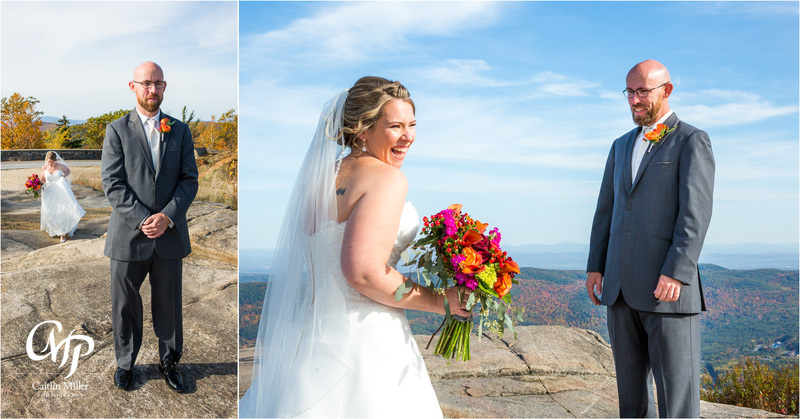 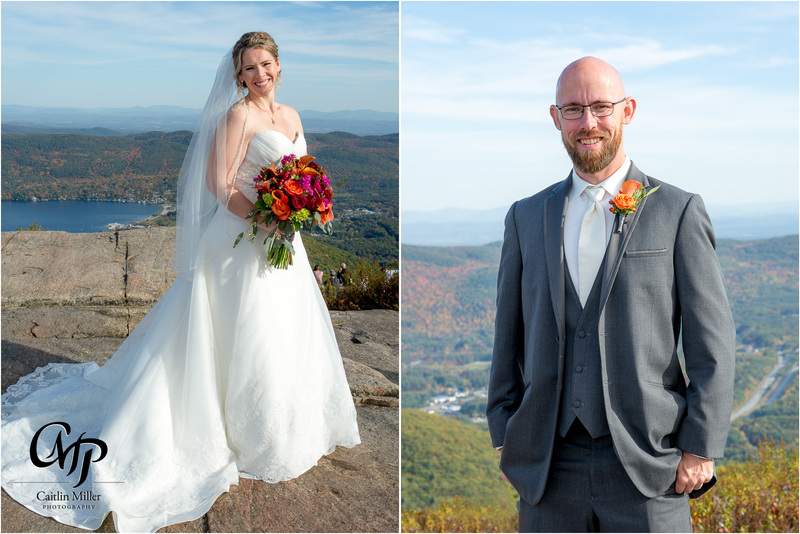 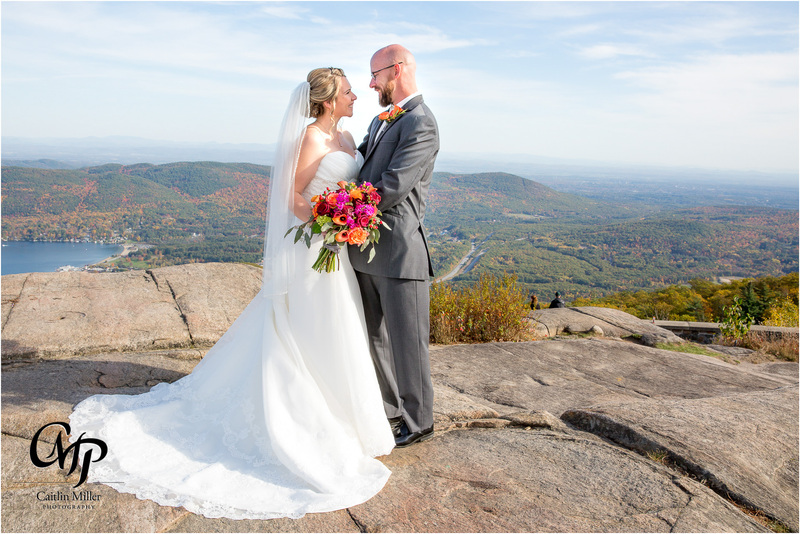 We spent some time taking formal photos with the backdrop of the Adirondack mountains – stopping at several “lookout points” on the way down the mountain. 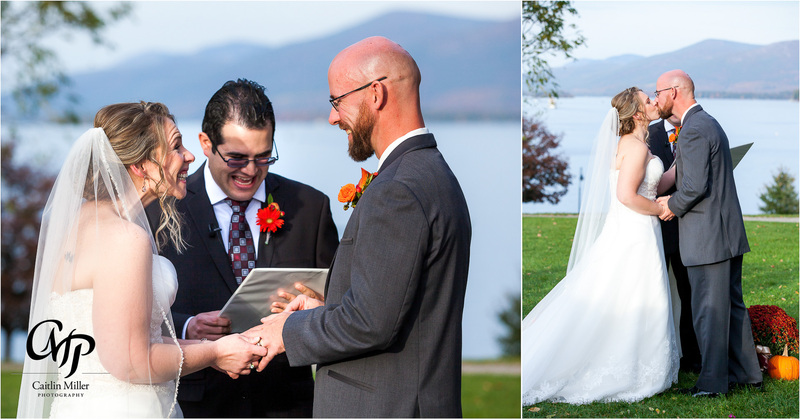 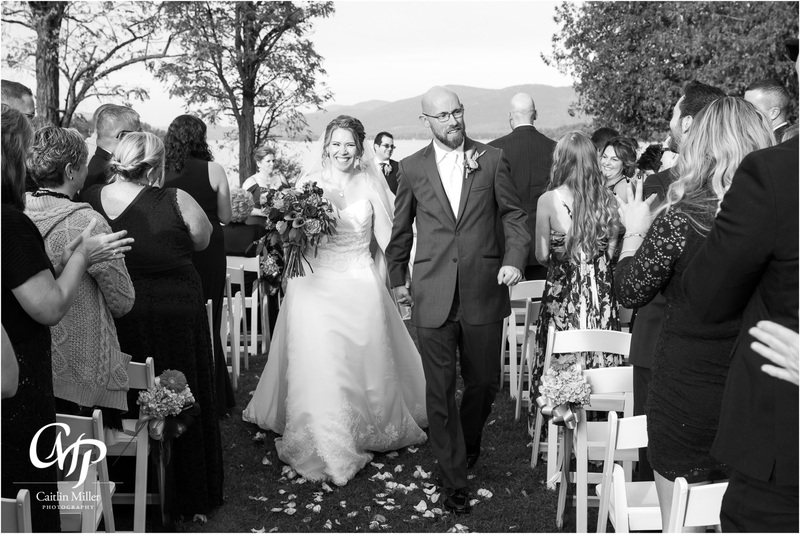 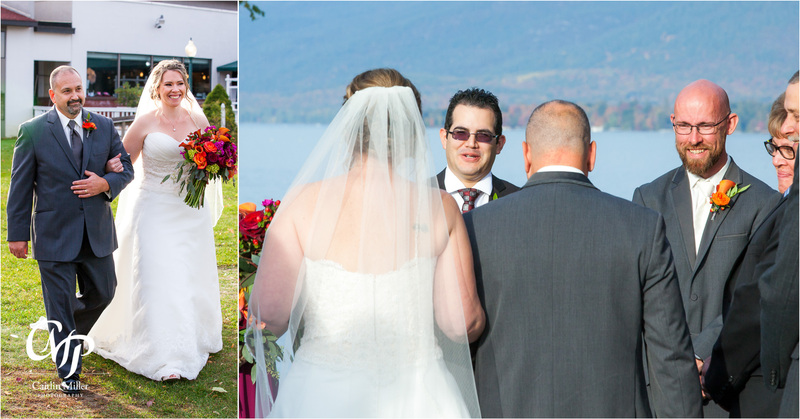 The couple’s Lake George wedding day continued with a sweet ceremony on the lawn of the Fort William Henry – overlooking the lake and mountains. 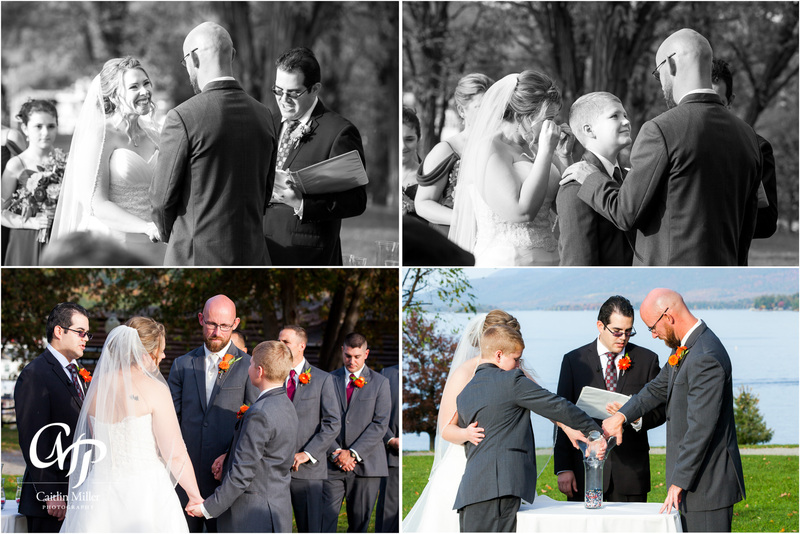 A sweet moment took place during their vows, where Kyla and Bill each said “family vows” to Kyla’s son Gage. 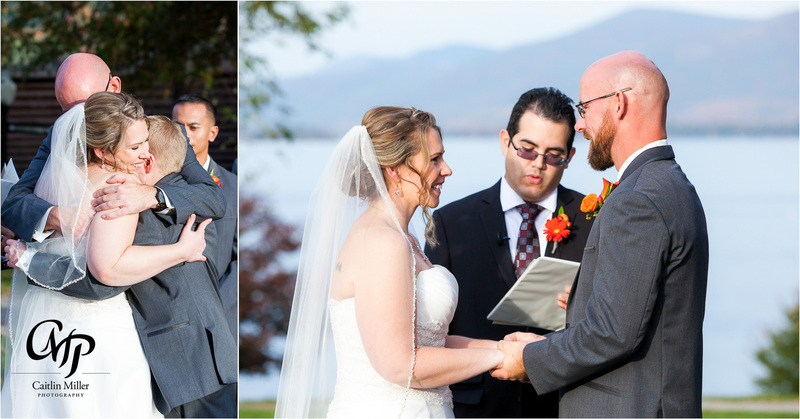 Bill then presented Gage with meaningful dog tags and the three of them participated in a sand ceremony. 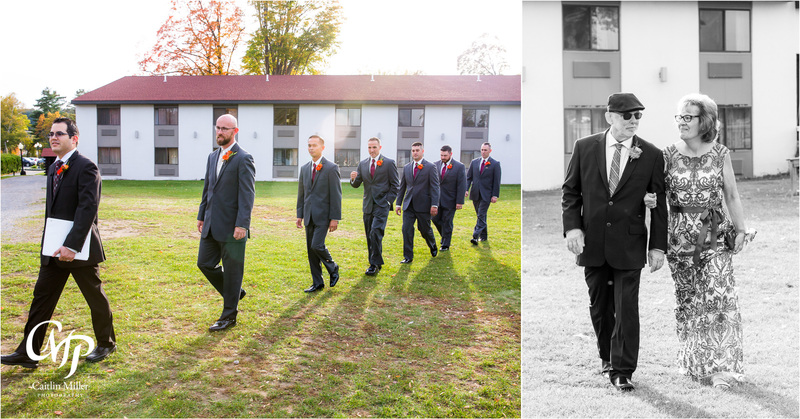 Following the ceremony, the bridal party accompanied us to the waterfront for some fun formals before joining cocktail hour. 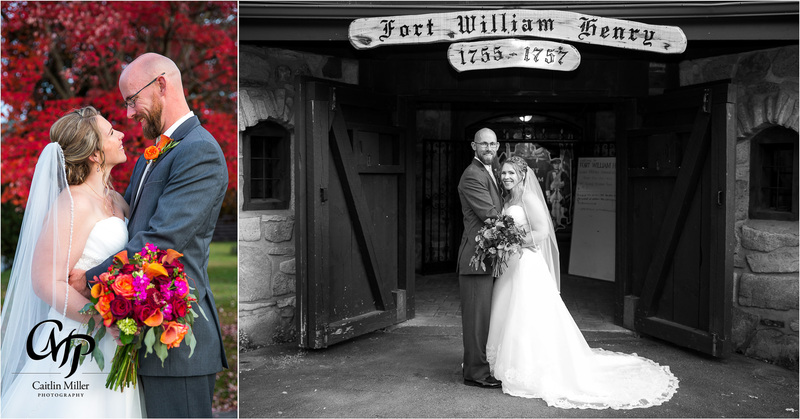 The reception followed in the fort William Henry’s White Lion room. 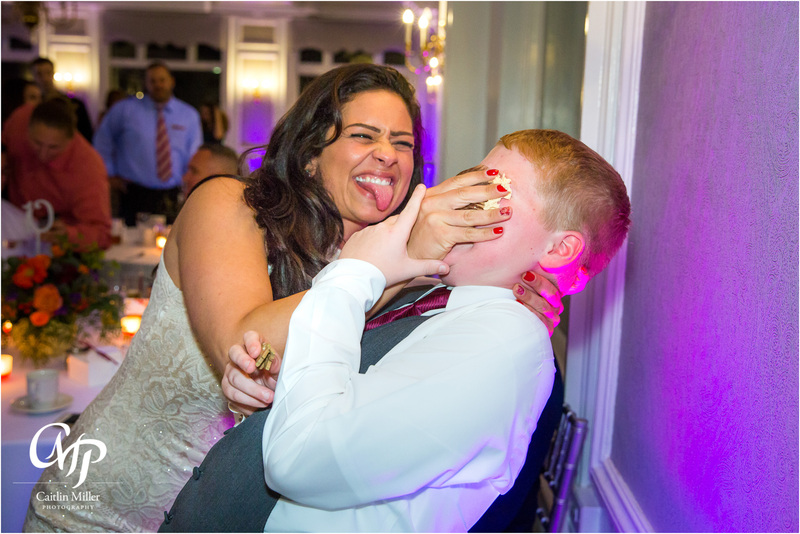 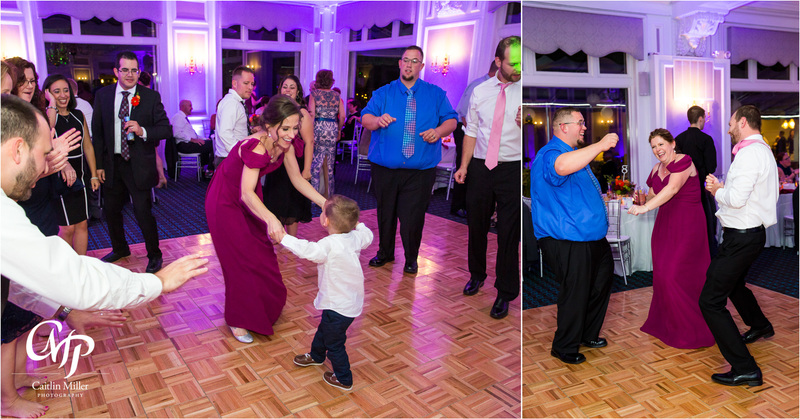 The evening was peppered with meaningful dances, heartfelt moments and a surprise speech by Gage (which went accidental off-color!). 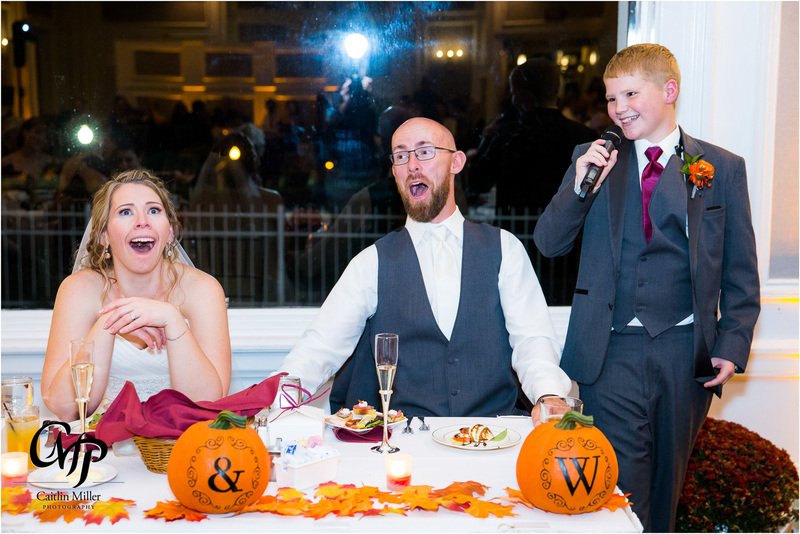 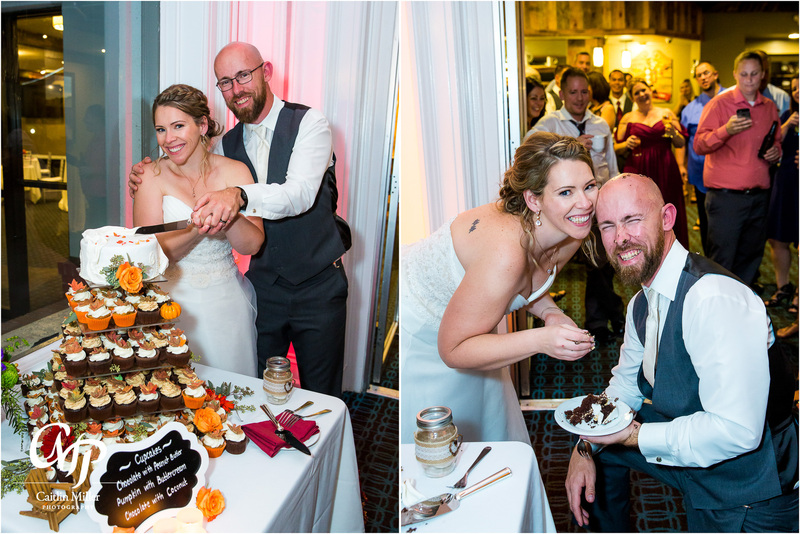 Kyla and Bill cut their stunning fall-themed cake – and even had some fun with a huge top-of-the-head cake smash (and a surprise smash for Gage!). 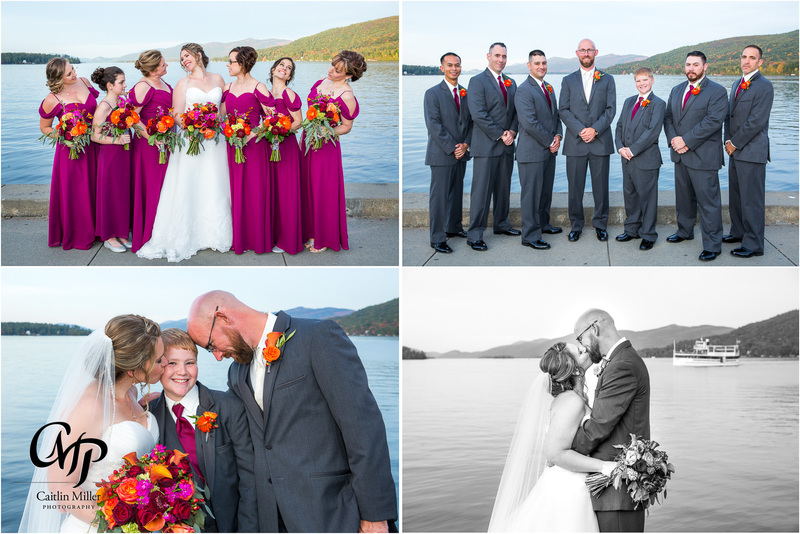 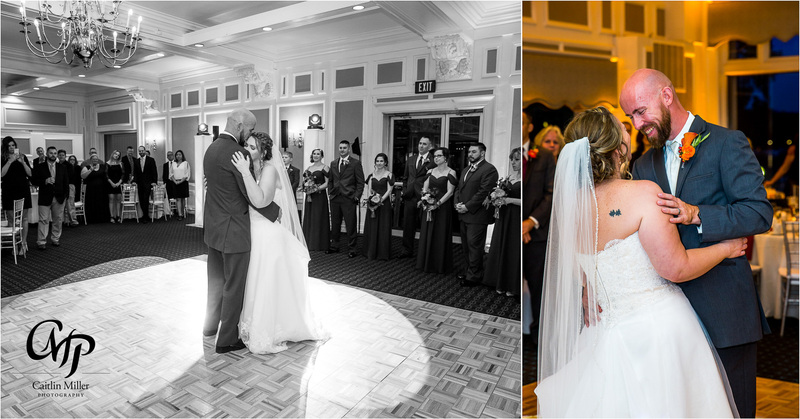 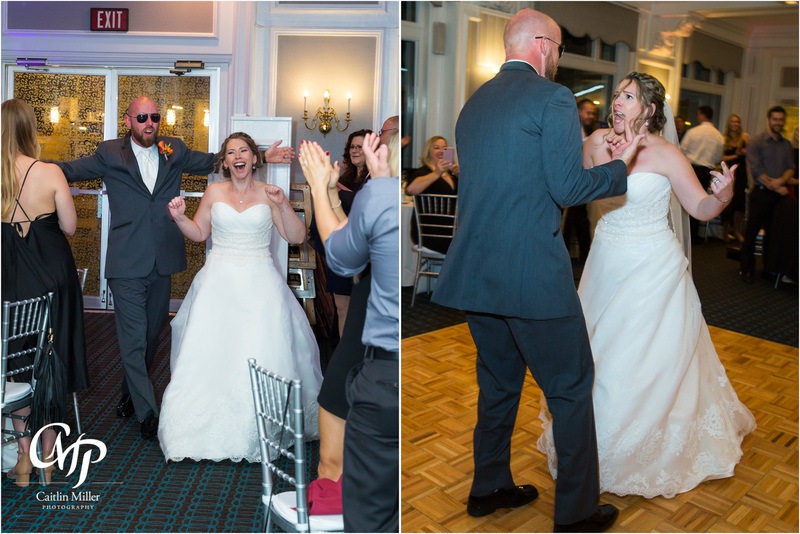 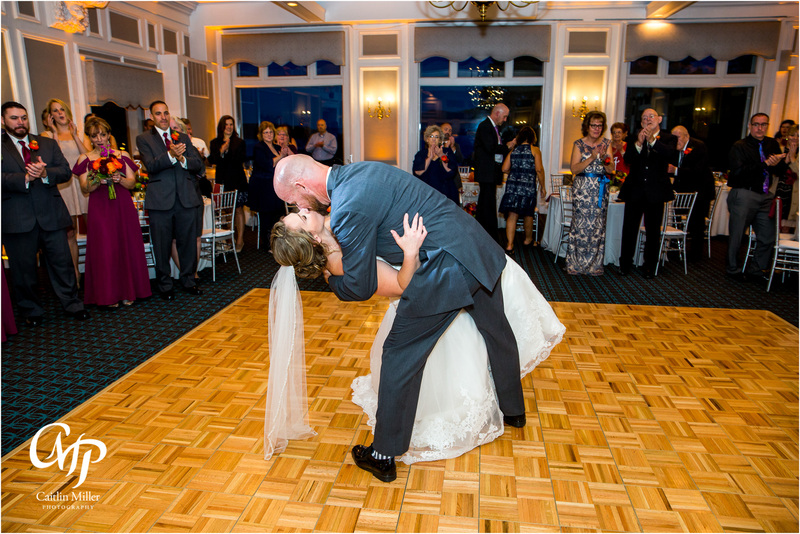 The rest of this Lake George wedding day was spend dancing and laughing with friends and family. 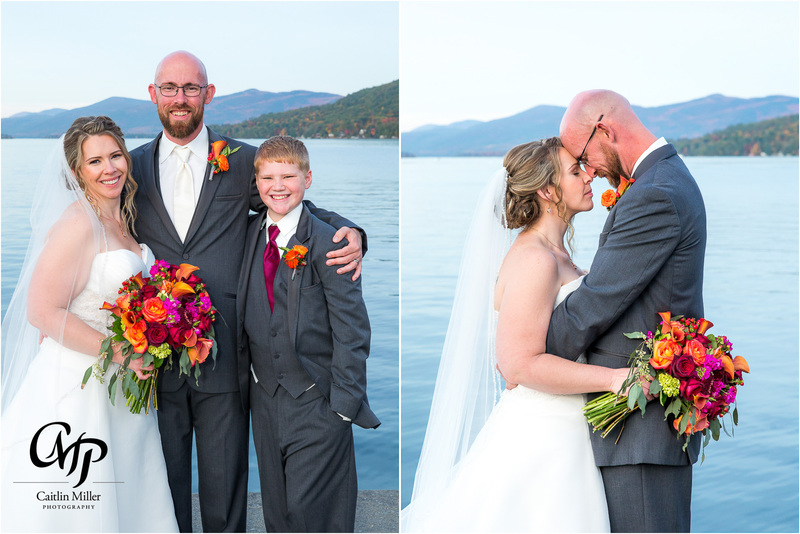 Best of luck to this beautiful blended family.